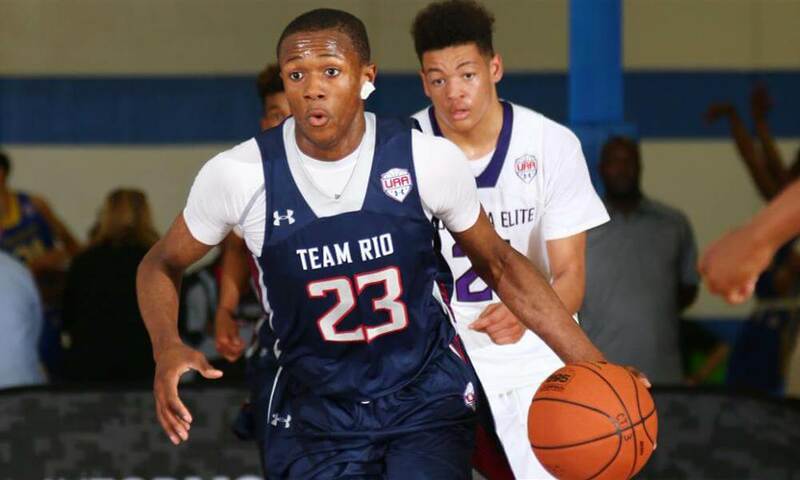 Mike White sure has something going on the recruiting trail, as in the span of two days, the Gator basketball program has locked up a pair of high profile commitments for the class of 2019. The first of these two is Omar Payne, a fringe four/five star center out of Montverde, FL, who committed on Monday. Payne chose the Gators over FSU, Louisville, Ohio State and Auburn. Standing 6’9, 215 pounds, Payne is someday going to be counted on to become the paint presence Florida has sorely lacked recently. And then last night, the Gators grabbed a commitment from Scottie Lewis, a unanimous five star and one of the nation’s consensus top five forwards. But that doesn’t fully do the commitment justice. Florida beat out Kentucky for his services, a rare head to head win for the Gators on the recruiting trail over the Wildcats. Lewis, from Eatontown, NJ, will be relied on to help fill the role that Jalen Hudson will vacate next season. He’s a top tier defender and an explosive playmaker around the hoop who can make things happen, and the hope with him is that he doesn’t blossom too soon and leave after one season. Those two, along with five star guard Tre Mann, give White and his staff quite a formidable class: Florida now owns pledges from two of the nation’s top 25 recruits and three of the top 40, giving it a top five class in every major ranking system. Of course, they won’t be available until the 2019-20 season, but in addition to whatever the 2018-19 team does, that year as well as the years succeeding it are now shaping up to be quite exciting.